At MASCOT, we know that the right accessories and workwear in the end make your work day safer. 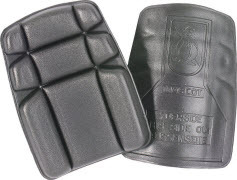 If you for example have a job that puts a strain on your knees by means of a lot of kneeling work, a pair of high quality kneepads are a necessity for you. In MASCOT’s assortment, you will find a variety of kneepads where comfort and durability are in focus. If you wish a durable type which at the same time provides air to the knees, you will in MASCOT’s assortment find kneepads with air channels to increase breathability. 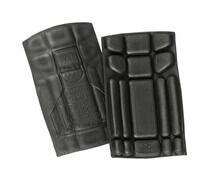 In the assortment, you will also find kneepads that are certified according to EN 14404. The certification ensures that the requirements for the highest knee protection are complied with. If you work a lot on your knees, it is important to take the right precautions so as not to damage your body. 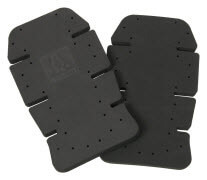 A couple of functional kneepads provide increased security for your knees. Of course, it is individual what you prefer as protection. That is why we have designed our kneepads to suit all types of industries. At the same time, products of different thicknesses and qualities are available, depending on what you find most comfortable. To ensure that you benefit to the maximum from your kneepads, it is also important that you choose work trousers of the right size. If you choose too long or too short trousers, you risk that the kneepad pockets, and thus also the kneepads, are placed incorrectly and therefore do not give you the correct protection.